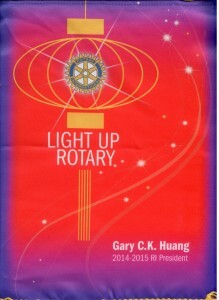 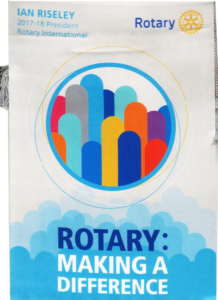 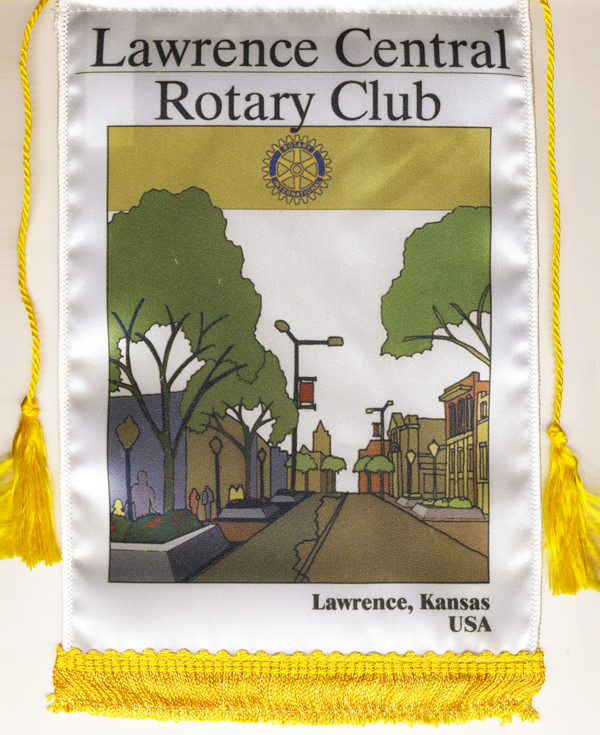 One of the more colorful traditions of Rotary is the exchange of club banners. 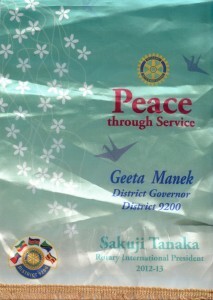 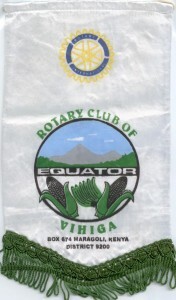 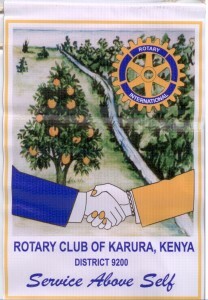 Rotarians traveling to distant locations often take banners to exchange at make-up meetings as a token of friendship. 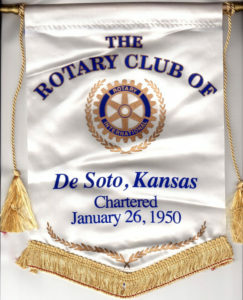 Many clubs use the decorative banners they have received for attractive displays at club meetings and district events. 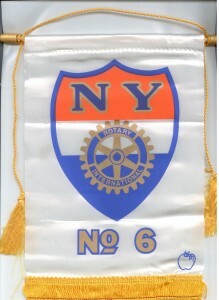 By 1959, exchanging banners had become so popular that the RI Board of Directors was concerned the practice would be a financial burden on clubs. 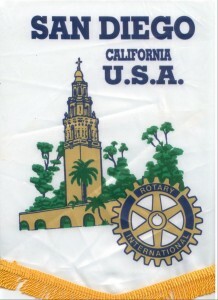 It urged Rotarians to “exercise discretion, moderation, and measured judgment in making provision for such exchanges.” The approximately 20,000 banners in the Rotary History and Archives collection reflect clubs’ hometown pride and their connection with the international organization. 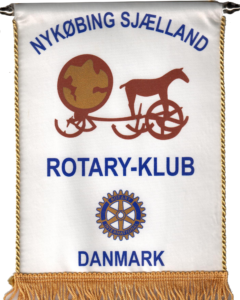 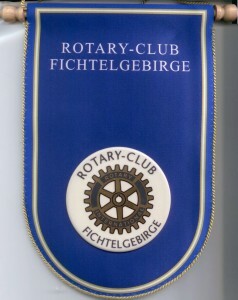 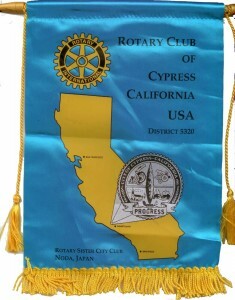 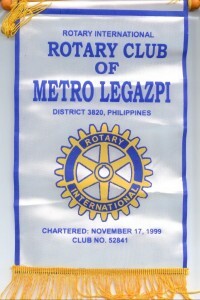 In addition to incorporating the Rotary emblem, banners often include symbols or imagery of a club’s town, region, or country. 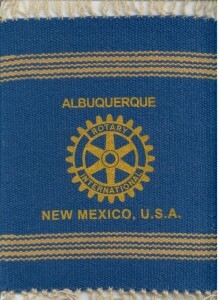 Others represent local craftsmanship or cultural traditions by displaying leatherwork, weaving, embroidery, or hand-painted designs. 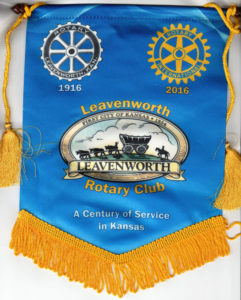 Below is a gallery of Banners that have been exchanged with Lawrence Central. 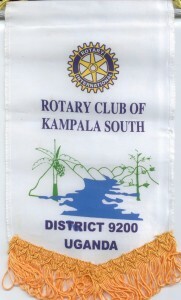 As we get more we will add them!